Prospero 19.01.2018 - 12:44:35 (modif: 19.01.2018 - 13:15:44) [9K] , level: 1, UP NEW HARDLINK ! !CONTENT CHANGED!! Face Recognition & Digital Identity Verification Solutions. ulkas 27.07.2017 - 10:32:06 (modif: 27.07.2017 - 10:34:08), level: 3, UP NEW ! !CONTENT CHANGED!! Google is doubling the maximum number of CPU cores developers can use with a single virtual machine on its Compute Engine service from 32 to 64. These high-power machines are now available in beta across all of Google's standard configurations and as custom machine types, which allow you to select exactly how many cores and memory you want. If you opt to use 64 cores in Google's range of high-memory machine types, you'll also get access to 416GB of RAM. That's also twice as much memory as Compute Engine previously offered for a single machine and enough for running most memory-intensive applications, including high-end in-memory databases. Running your apps on this high-memory machine will set you back $3.7888 per hour (though you do get all of Google's usual sustained-use discounts if you run it for longer, too). This repository contains a reference pre-trained network for the Inception model, complementing the Google publication. The project's technology is currently used in the Android Operating System's speech recognition system, photo search for Google+ and video recommendations in YouTube. The so-called "Google Brain" project began in 2011 as a part-time research collaboration between Google Fellow Jeff Dean, Google Researcher Greg Corrado, and Stanford University professor Andrew Ng. Ng had been interested in using deep learning techniques to crack the problem of artificial intelligence since 2006, and in 2011 began collaborating with Dean and Corrado to build a large-scale deep learning software system, DistBelief, on top of Google's cloud computing infrastructure. Google Brain started as a Google X project and became so successful that it was graduated back to Google: Astro Teller has said that Google Brain paid for the entire cost of Google X. In June 2012, the New York Times reported that a cluster of 16,000 computers dedicated to mimicking some aspects of human brain activity had successfully trained itself to recognize a cat based on 10 million digital images taken from YouTube videos. The story was also covered by National Public Radio and SmartPlanet. In March 2013, Google hired Geoffrey Hinton, a leading researcher in the deep learning field, and acquired the company DNNResearch Inc. headed by Hinton. Hinton said that he would be dividing his future time between his university research and his work at Google. On 26 January 2014, multiple news outlets stated that Google had purchased DeepMind Technologies for an undisclosed amount. Analysts later announced that the company was purchased for £400 million ($650M USD / €486M), although later reports estimated the acquisition was valued at over £500 million. The acquisition reportedly took place after Facebook ended negotiations with DeepMind Technologies in 2013, which resulted in no agreement or purchase of the company. "Pretty much any device with a USB port will be able to use advanced neural networks," reports PC Magazine, announcing the new Fathom Neural Compute Stick from chip-maker (and Google supplier) Movidius. "Once it's plugged into a Linux-powered device, it will enable that device to perform neural network functions like language comprehension, image recognition, and pattern detection," and without even using an external power supply. Device manufacturers could now move AI-level processing from the cloud down to end users, PC Magazine reports, with one New York computer science professor saying the technology means that now "every robot, big and small, can now have state-of-the-art vision capabilities." The article argues that this standalone, ultra-low power neural network could start the creation of a whole new category of next-generation consumer technologies. o kolko lepsie je to ako chainer? mne totizto zatial najjednoduchsie na win islo rozbehat prave chainer? Neviem, ale theano je jeden z backendov pre keras (druhy je tensorflow) a keras je velmi popularny kvoli jednoduchosti pouzitia. 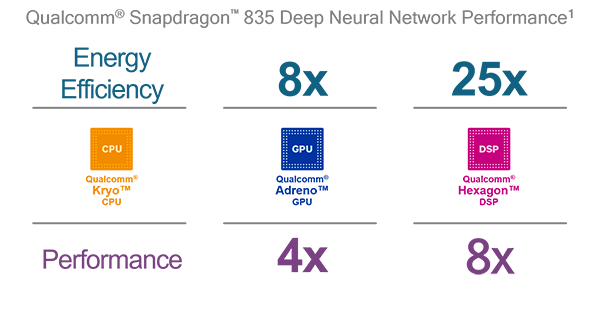 Intu is an architecture that enables Watson services in devices that perceive by vision, audition, olfaction, sonar, infrared energy, temperature, and vibration. Intu-enabled devices express themselves and interact with their environments, other devices, and people through speakers, actuators, gestures, scent emitters, lights, navigation, and more.